If you have been using the iPhone version of Foursquare on your iPad, it is time to get the official iPad version from the App Store. 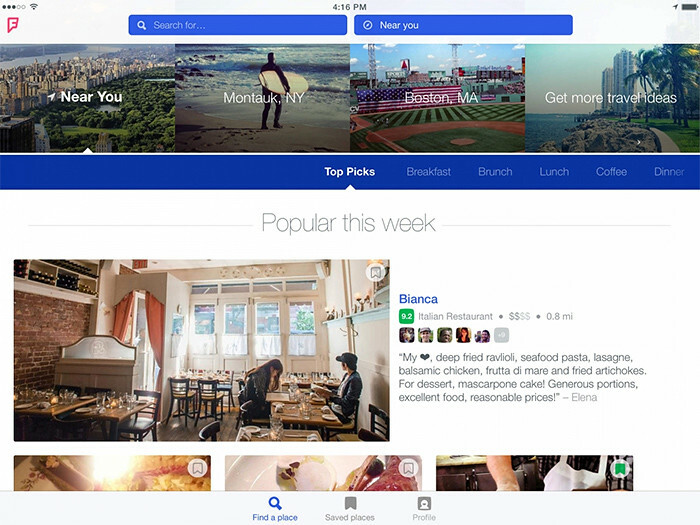 Since the new Foursquare came out a few months ago, people have been telling us that they do a lot of their planning on their iPad, and they want a version of Foursquare designed just for it. Today, that version is ready, and you can now download the all-new Foursquare for your iPad. The new iPad version of Foursquare is the best way to find amazing places to go, anywhere in the world. • Want to find some great dinner spots to try out? Just open it up, tell us what you’re looking for, and get a beautiful selection of inspiring places, with one-tap saving, so you’ll get reminded when you’re nearby. • Planning a trip (or just daydreaming)? You can also easily browse by city. Select Barcelona, Shanghai, Buenos Aires (or any city, anywhere in the world) and get an endless list of ideas, personalized for you. Download it today on your iPad to try it out.